Even though I'm not there, give a listen and see how close the guys come to predicting my votes on Nosh or Not. I have to give the prize to Ryan for coming closest to how I would have responded. That said, deep down I think that I would only give a true Nosh vote to one item, and it's not the item pictured above. 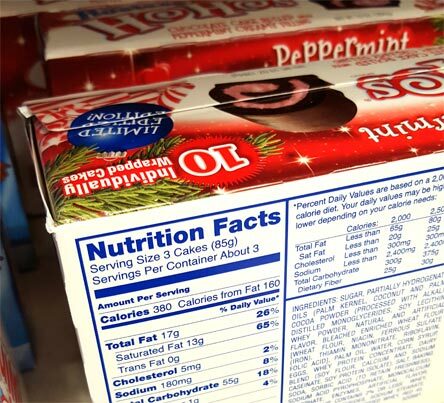 Not that I imagine eating 3 HoHos at a time, but these nutritional facts scared me off from picking these up. I'm just not in the mood for this nutritional nonsense right now. More reviews tomorrow, have a good week everyone!